"Garcia said he was 7 years old in the late 1970s when his 6-year-old brother, Jason, drowned during a family camping trip in northern California. When Jeff was 8, his 5-year-old sister, Kimberly, tumbled out of the bed of a truck and sustained fatal head injuries. “I think I’m very conscientious of how precious life is and how quickly life can be taken away from you, especially at times when it can be least expected,” Garcia said Wednesday in a brief interview." Ultimately, it is an intensity forged, in part, from tragedy. Of course, there are still melancholy moments. Last month, Garcia became emotional as he described to Philadelphia reporters the close bond between him and his brother, Jason, telling how they did everything together — wrestled, played soccer, everything. If time and distance can never bring complete healing, they have brought context and perspective. A defeat to the Giants on Sunday would hurt, but losing a football game is not the end of the world, Garcia said Wednesday, no matter how devastating it can feel at the moment. “If this is the worst that we’re going to experience in our lives, then we’re living pretty good lives,” he said. His story touched my heart today. Thanks for sharing that story. I do believe that enduring what we have, It makes us stronger in some areas of our lives. However, I can't help but feel weakend by the overwhelming sadness I feel. Not sure if that makes a whole lot of sense, but I know that is how I feel. I think I understand what you mean - as much as I can, not having lost my own sibling. I think the strengthening comes with time, with the surviving, and eventually learning how to live again... all the while holding that person we lost deep within our hearts. My loss is different, my nephew Christopher, my brother's only child. 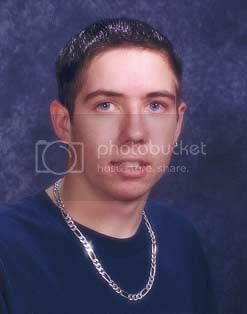 Killed at the age of 16 by a hit and run driver. So wrong in so many ways.